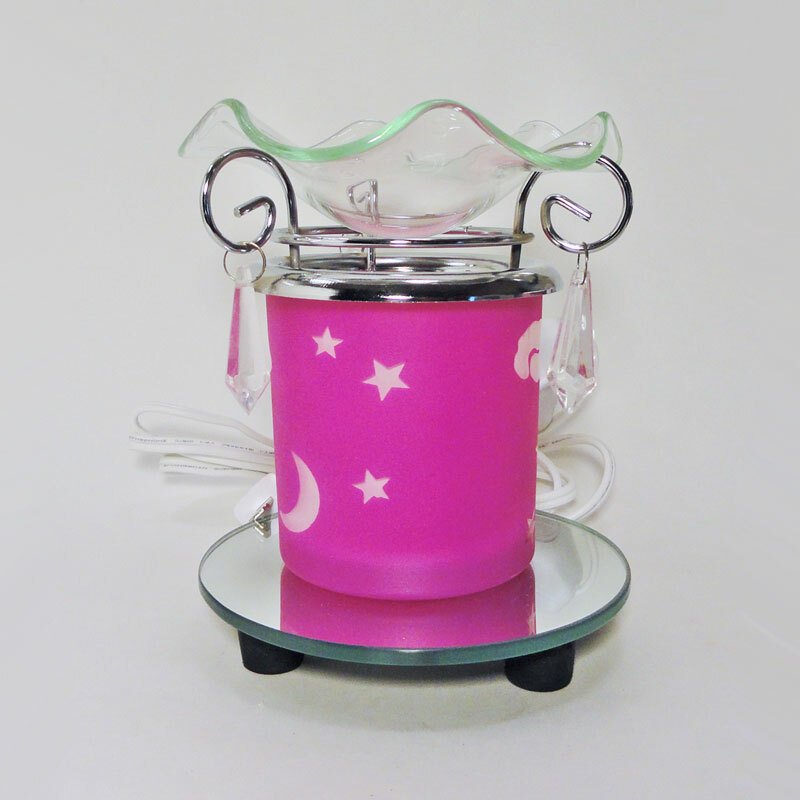 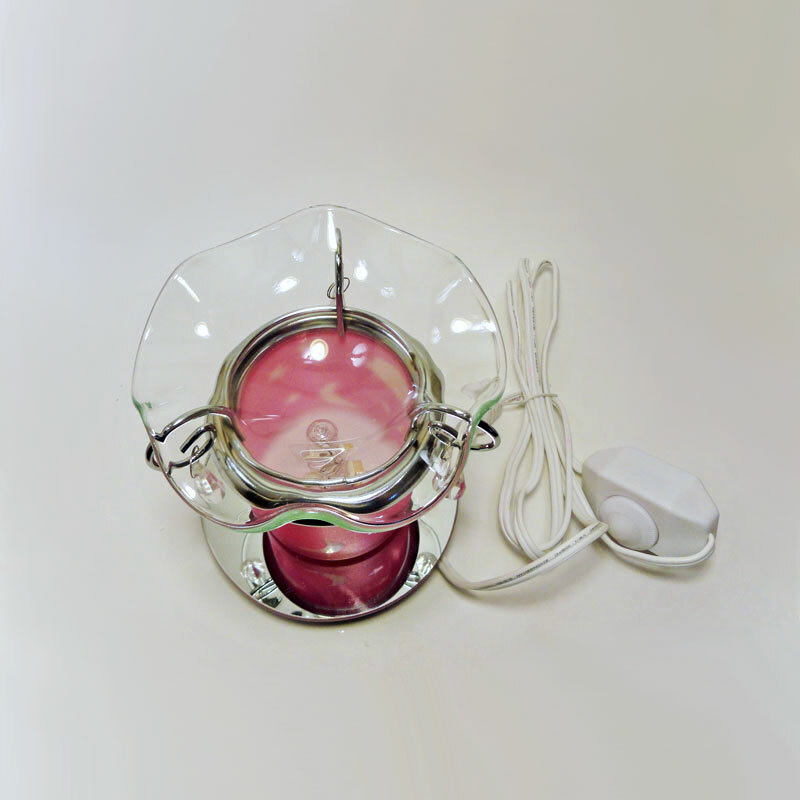 Electric oil or tart warmer featuring a pink night sky of white stars, moon and clouds. 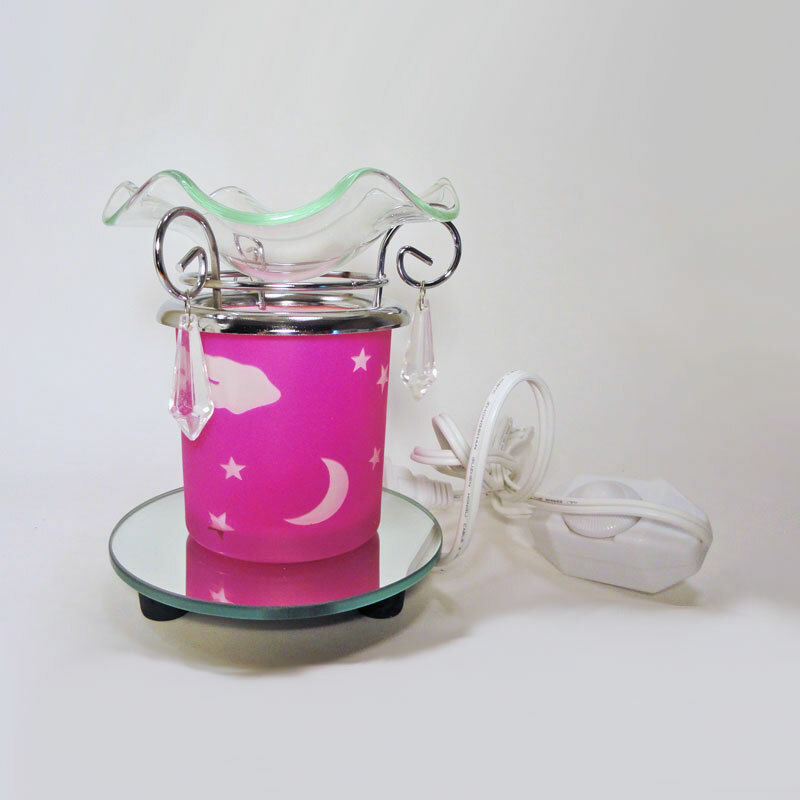 Plastic ornaments dangle from steel loops that the scalloped glass bowl for your fragrance choice sits on. 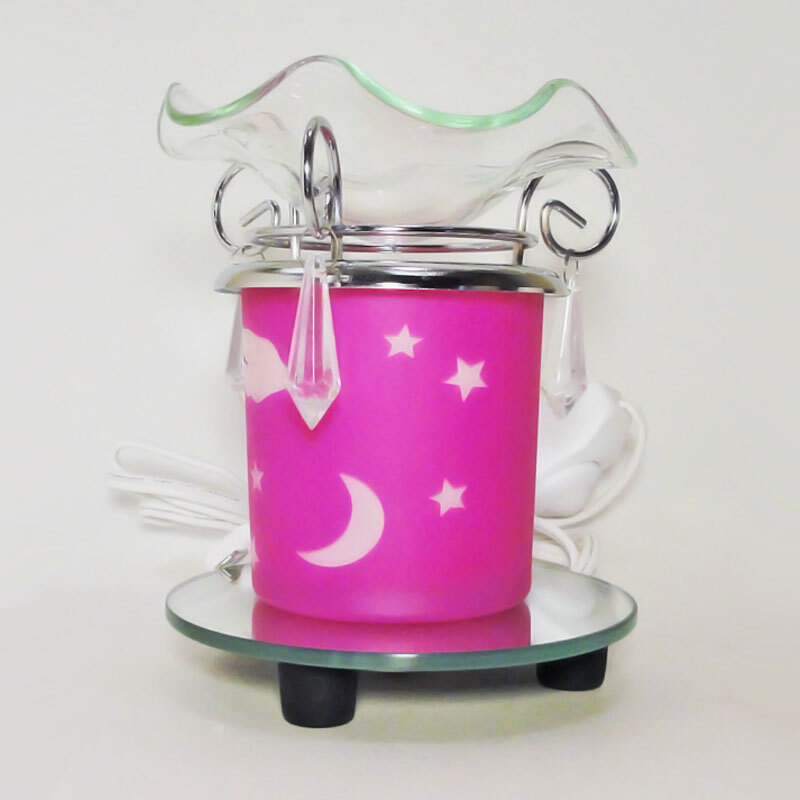 A round mirror base completes the look.